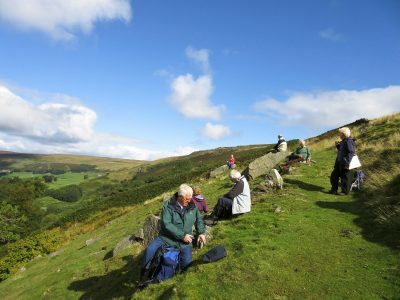 This Field Society walk was a 7.4 mile circular from Gargrave, on a good and fine day. The booted and jacketed group strode along Mark House Lane, appreciating displays of snowdrops, and soon turned off left to follow a path northwards across pastures towards Bell Busk. With the old railway viaduct over to the left we joined the track which led us to the impressive limestone outcrop of Haw Crag where is the 1949 Trigpoint, part of the Third Order of Trigpoints. 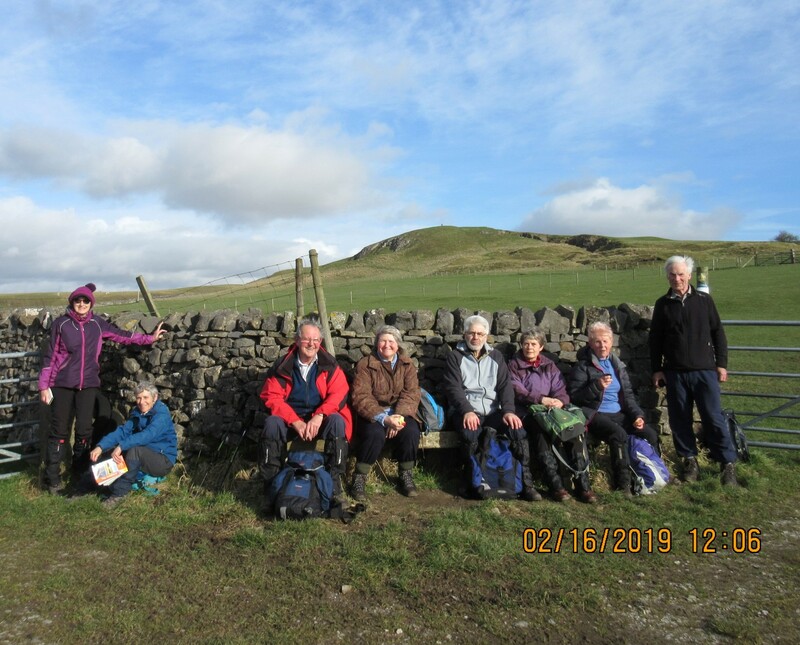 The views of our magnificent landscape on this clear and springlike day were valued by our appreciative group, as we headed north-eastwards, past Throstle Nest Farm, to reach the Eshton/Malham road. It was necessary to keep to the road until we could turn into Winterburn Lane, admiring Eshton House on the corner and its garden’s spring display. This house was originally a double-fronted Georgian farmhouse, but was extensively altered and gentrified in 1857. Progressing along this attractive lane we passed the expansive Seat House and farm to reach the interesting feature of St. Helen’s Well, one of many Holy Wells which were dedicated to Pagan deities and later converted to Christian Saints….. St. Helen was such an example, and was the mother of Constantine the Great. The substantial and impressive 17th century Friars Head hall was a little further on, built by the Proctor family on the site of the 12th century grange belonging to Furness Abbey. Opposite the hall are the pillow mounds, artificially created, probably in the 12th century, to ‘farm’ rabbits for their meat and fur. We passed these as we climbed up the north side of Scamber Hill, to then cross Mickleber Hill and follow the ancient hollow lane into Flasby, happy to see a large flock of lapwing wheeling in flight. This was our lunch stop but we were denied the expected shelter here from the cool breeze which had developed. 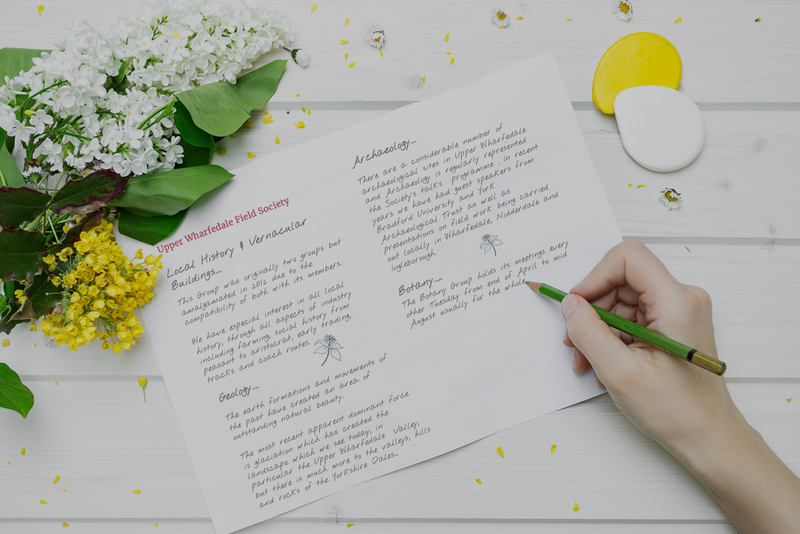 The medieval hamlet of Flasby is still busily farming, but we only intruded briefly as we veered onto the route which took us past the grounds of Flasby Hall, on to the Hetton road and our return to Gargrave, finally watching two canal boats negotiating the lock gates.